Reciprocating someone else’s love is easy, but loving without reward, without proof of reciprocation, and without the acknowledgment of sacrifices being made is difficult. 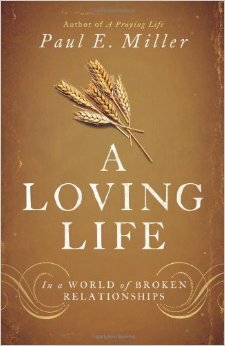 Miller provides an in-depth study of the book of Ruth to define what it really means to have hesed love – a steadfast, one-way love. His underlying comparison is how Christ loves sinners even when they show no love for him. This book provides many examples of how hesed love should look, but it lacks a strong connection to everyday life for modern Christians. Nevertheless, as a biblical analysis of Ruth, the book is easy to read, for it goes slowly, with each chapter studying the implications of just one or two key verses in Ruth. With a Masters of Divinity from Biblical Seminary, Miller is able to provide a translation of the context and language used in Ruth to give readers a better understanding of the story and of unrequited love. This book is good for adult readers looking for strong examples of loving selflessly. Close examination of the book of Ruth and hesed love but with limited everyday application. Amy Gaasrud is a professional writing major at Taylor University.